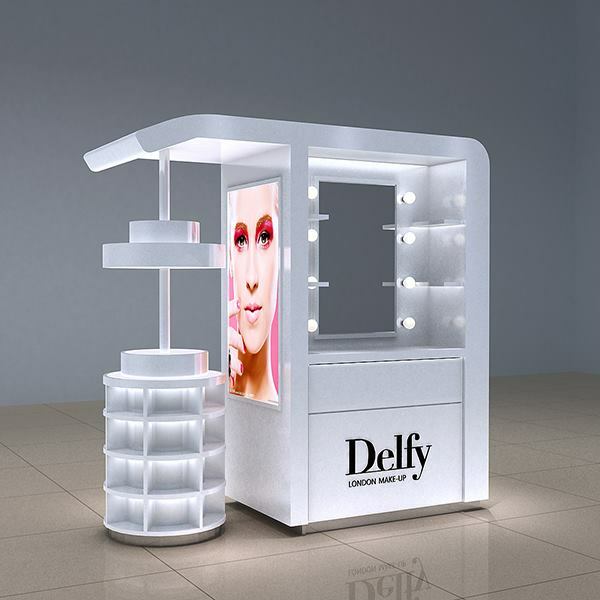 Unique Customized salon bar kiosk for eyebrow, nail manicure ,hair dressing and barber. 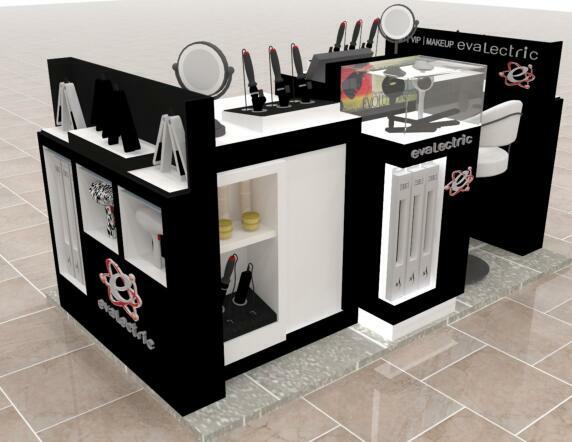 Cell Phone Display showcase kiosk for smart phone repair and cell phone accessory display. 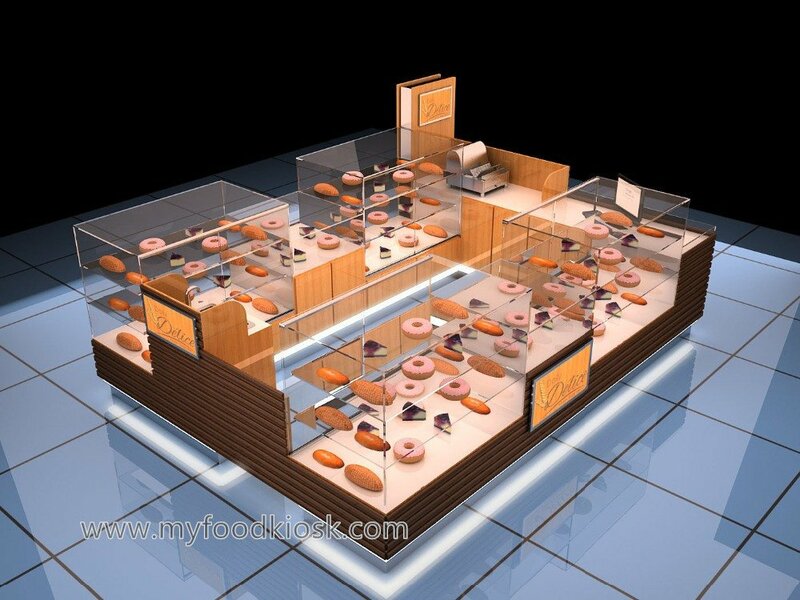 China Manufacturer of Food Kiosks, Food Carts, Retail Mall Kiosks, and Store Fixtures! 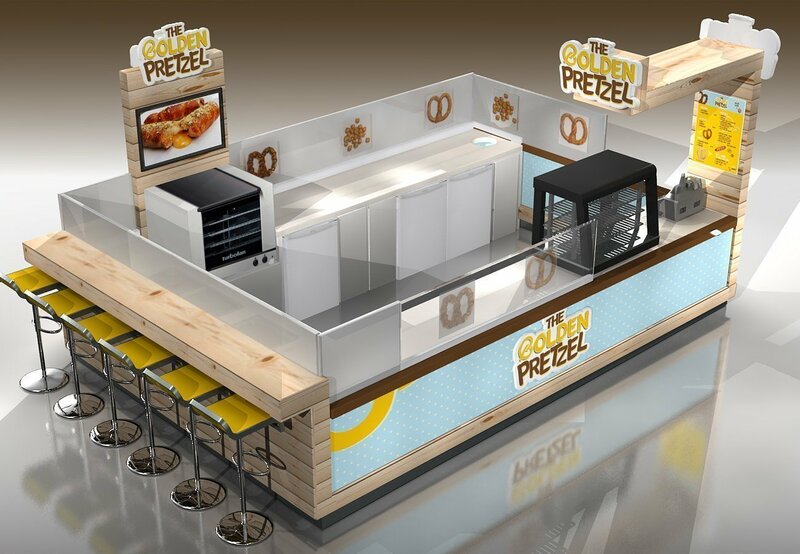 As a Supplier of food kiosk for sale, coffee kiosk, food carts, mall kiosk for sale and retail kiosk. Unique Kiosk focus on providing custom design kiosk carts and commercial retail store display fixtures. 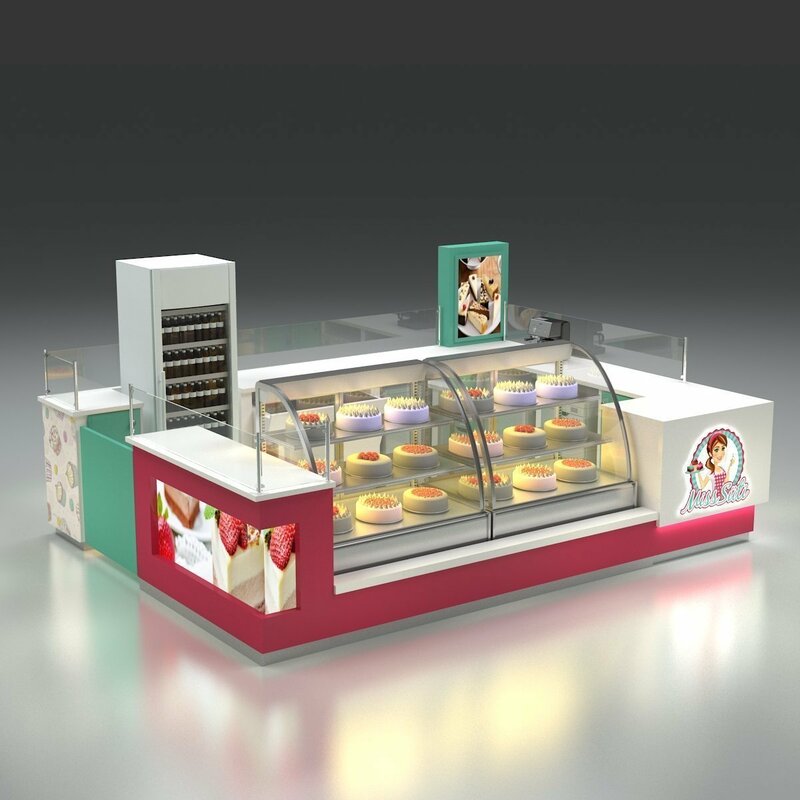 Our store supply display cabinets and retail counters are mainly used in shopping mall, retail store, food & beverage concession court. We have been exporting mall used kiosk carts for sale since 2002. 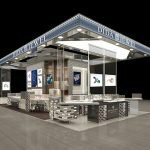 Our professional experienced team can guarantee you a high-end dreamed kiosk displays. Our custom kiosks carts are mainly built for commercial usage. All of our kiosk carts displays were designed to exactly follow the mall criteria and vendors requirements. Furthermore, our display concept ideas are not limited to it. We also provide unique modern 3D rendering design and detailed CAD drawing for mall approval. 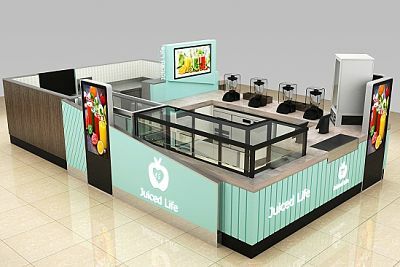 Custom retail mall kiosk carts, indoor food kiosk with high-grade plywood and Outdoor kiosk booth with stainless steel. Whether you need a retail store supply or outdoor food trailer. We can custom it for you. Unique Kiosk is a professional retail kiosk and store supply manufacturer, With a lower material, land, and labor Cost. 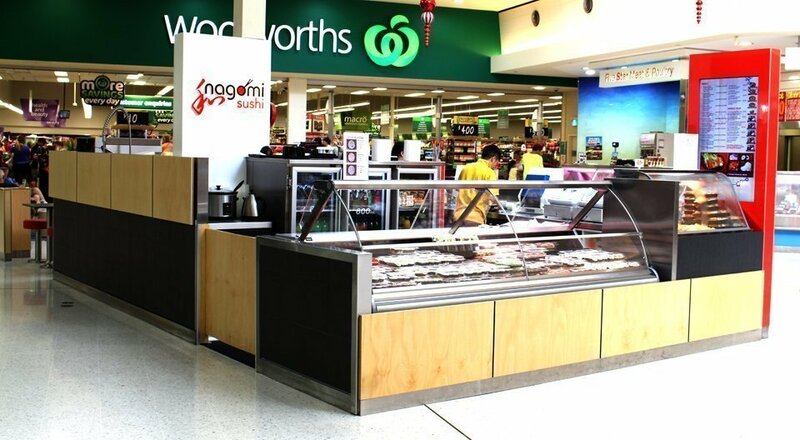 We are able to offer our client high-quality displays at an affordable price. let us supply you commercial display fixtures and mall kiosk for your upgrowing franchise business, From mall kiosk carts to retail store display. Our kiosk ideas will help you increase your brand value and presentation with the best low-cost affordable display solutions. Food Kiosk For sale, Unique design and build kiosks and counter for food concessions. Retail mall kiosk for sale, kiosk display unit for retail merchandising and mall business. Shop furniture for sale, shop interior design with unique display fixtures and fittings. i have worked with you guys for 15 kiosks now , you never let me down ,and this time you guys change the kiosk counter top to man made stone , that was so beautiful and easy to use , you should tell me earlier about this , my customer like it very much , i want all my kiosk in future use this material. thanks you ,Louis. After long long shipping , i finally got my kiosks , but it turns a great surprise gift to me , all the people said my kiosk is beautiful ,and i have introduce my neighbor James contact you , he will need two juice bar kiosk in next two months, keep on we will have change work together again. thanks unique kiosks workers, i got a amazing kiosk , much more than i expected,i have to say at beginning i m not so confident with buying kiosk overseas , but when i open my kiosk packing boxes, i.m so pleased with your job.thanks again. I have received your jewelry kiosks, very beautiful , please pass my thanks to anyone who helped on this kiosks, we are looking for another location this years, i m surely we will come back with you. Why choose UNIQUE build your kiosk and shop ? No need to spend thousands of dollars to make a design , UNIQUE professional design team provide free design service with 3D rendering and CAD drawings for mall approval. Best Material used ,Advanced Equipment ,Strict Quality control system and Scientific manage system , make our kiosk carts finish in high standard way meet the international level. Unique has around 150 skilled workers to ensure a you fast delivery time , no matter urgent orders, large orders ,we can finish it on time. Unique Based in china , can provide competitive price for kiosk carts and shop furniture .To get a same quality products,you only need to pay Half or less price compare to get it from your local. UNIQUE cooperate shipping company provide shipping service with good price , you can choose either from factory to your nearest port or door to door service, Our strong wooden packing box ensure your products safe. All kiosks and carts from UNIQUE will provide 2 year quality guarantee, we provide all the accessories free replaced for Nonhuman damage and 7×24 technical support for installation. Are you looking for customized mall kiosks or store fixtures? 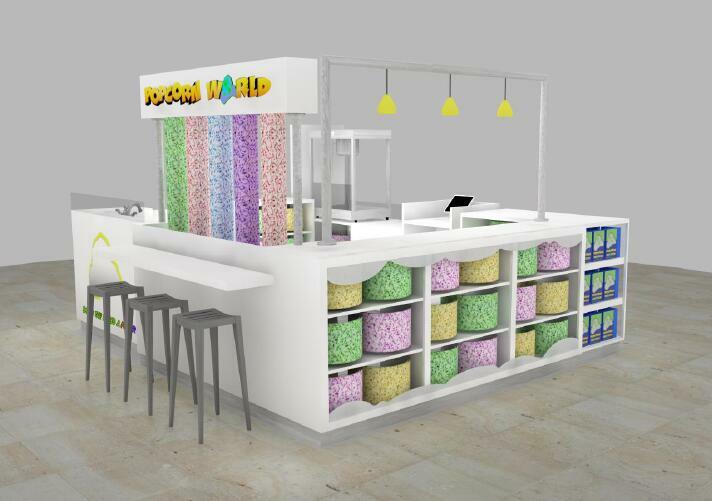 Retail mall Kiosks, Mobile Food Carts, Outdoor Concession stands, and Retail Store Display Fixtures are our strength. 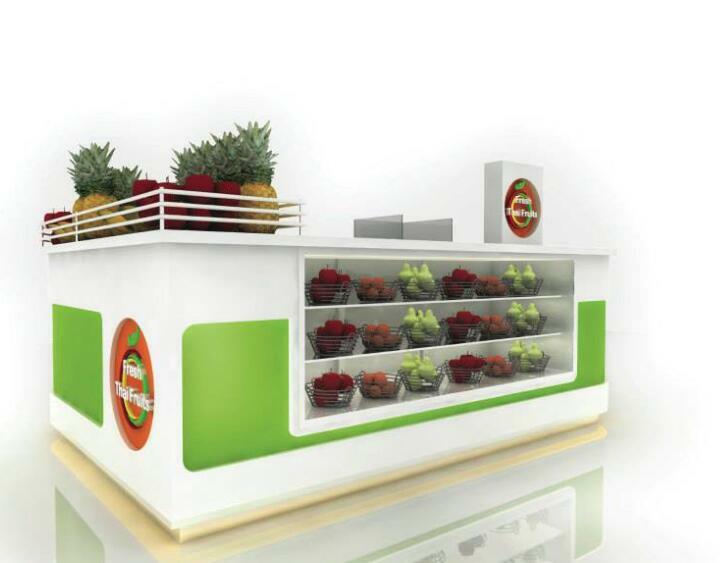 We manufacture the best mall kiosk cart for sale with top ideas design. Our retail kiosk carts can use in any type of mall business. From smoothies coffee juice bar to a fast food court, or barber shop hair salon station to a nail bar, eyebrow bar counter. You will find a huge amount of best display ideas and profitable business trends. Check more design on our site, you have a clear idea about what type of kiosk you are looking for. 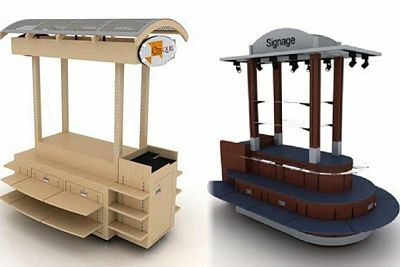 Unique Provide design-manufacture-shipping one-stop solution for all kiosks, food carts, display stands, and retail store supply. Food kiosk & food carts are one of our main products. Unique has built a large variety of food kiosk stations, mobile food carts, portable beverage concession stands for sale. 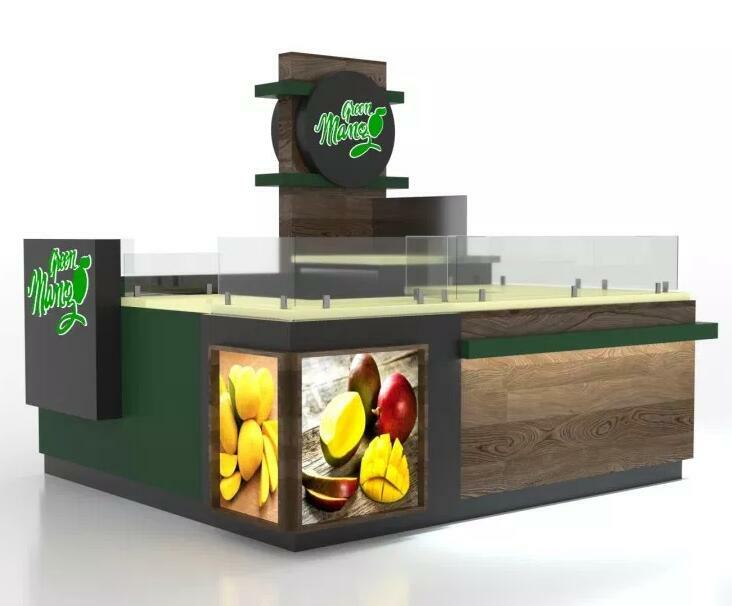 Those displays are used for coffee & espresso kiosk, juice bar counter, fast food stall, food hut, waffle kiosks, crepe carts, ice cream kiosk, and frozen yogurt store, etc. From bakery display case to the beverage bar, and from a small corn cart to a big sushi bar restaurant. 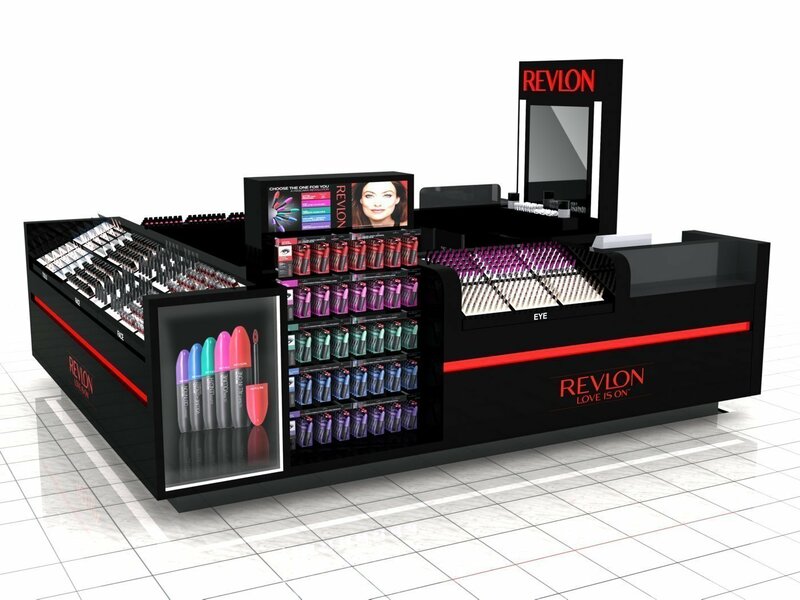 Unique provide you whole set display solutions with fantasy kiosk design ideas. We also provide portable food carts for sale. 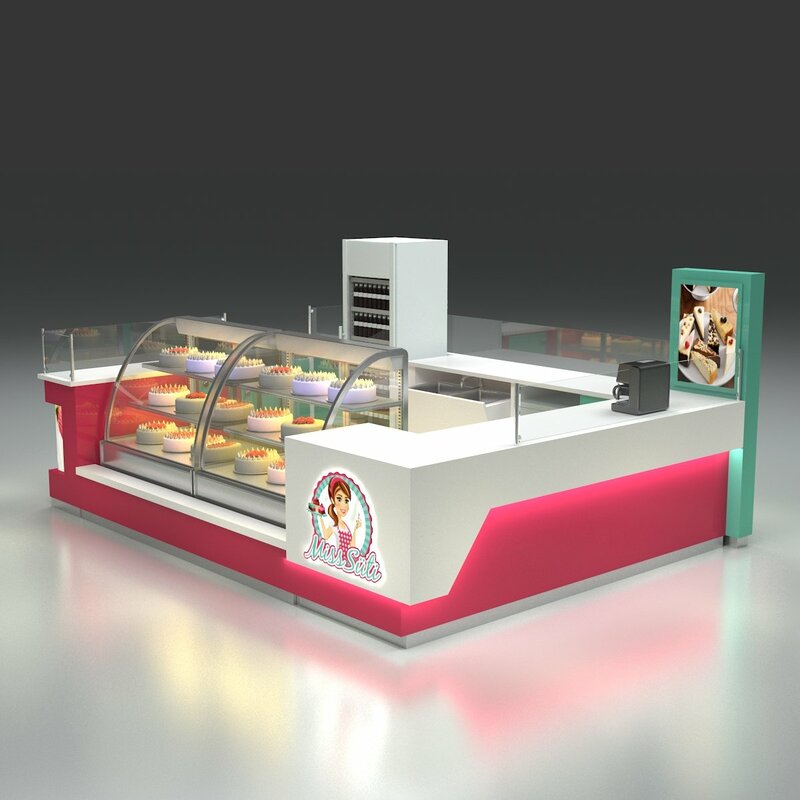 Offering the best style of coffee bike and espresso carts, mobile Italian ice cream carts, modern Retail Candy carts, and hot dog juice carts, etc. With a lower cost and easy movement character. Those carts are ideal displays special for business starter, You can use a mobile vending cart take a portable business to any locations. Unique offering the best price and fast delivery time on a custom retail mall kiosks carts. Our kiosk and carts are user-friendly design and easy to ship and install. Furthermore, We have multi options design to choose from. Unique’s retail kiosk is designed for mall retail display unit. 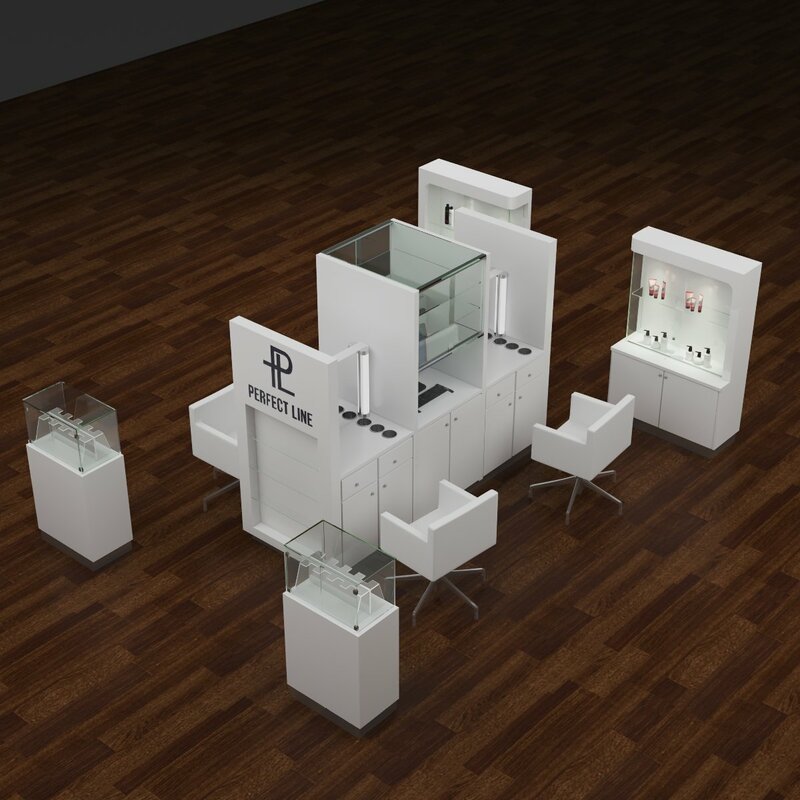 like jewelry stands, cell phone accessory cases, sunglasses display rack, cosmetics perfume kiosk stands or shoe retail. You can find your favorite design from a small watch showcase to metal clothes rack shelves. No matter what the business you are running in a mall, you will need a unique retail kiosk to display. Check more design on Mall Retail kiosk for sale. Unique service salon bar kiosk design is also welcomed and popular. You can easily find a favorite barber kiosk design or eyebrow threading kiosk ideas on our website. We supply large quantity of hair cutting kiosk design with barbershop design. Besides barber salon station, spa salon design, Our Nail manicure bar kiosk with a luxury design will give you a totally different feeling. We also customized teeth whitening kiosk, cell phone repair and even for VR experience space. Best business ideas need a unique kiosk. Unique is not only a shop furniture designer but also store fixtures manufacturer. We provide a large variety of options for store fixtures retail display and interior shop design. Our shop furniture store supply displays covered all type of retail business. 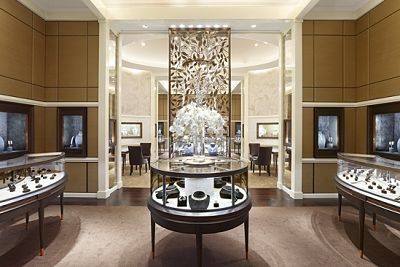 Include but not limited to pharmacy store display, jewelry store design, candy store fixtures, optical store racks, and clothing apparel store retail, etc. Working with UNIQUE, you will get your dream shop to build fast and satisfied. 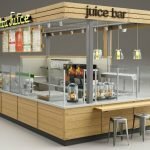 Whether you are looking for a mall kiosk carts, mobile food carts, outdoor food kiosk or any type of retail store display, you should come to Unique first check our design ideas with price cost. then make your decision.